QuickLink: The Github repo for this project can be found here. Make sure you remove the amplify/ directory before getting started. 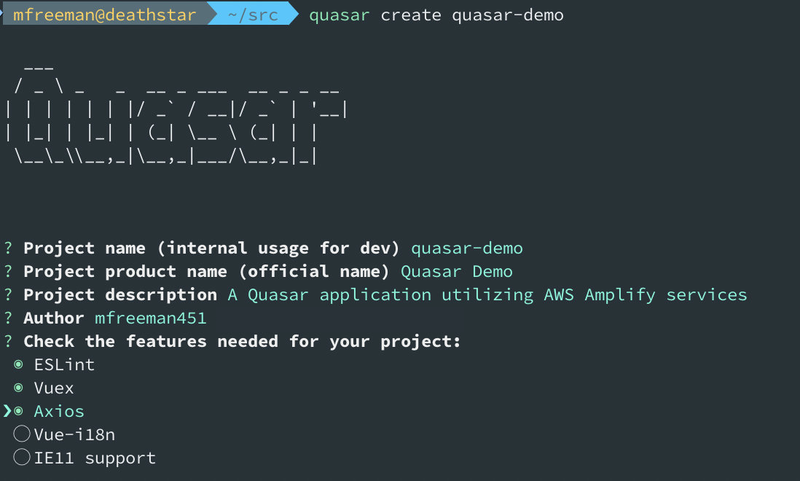 In this tutorial, you will learn how to create and deploy a Quasar V1.0 (beta) application using the AWS amplify CLI. We will bring in authentication using AWS Cognito, a GraphQL API layer from AWS AppSync configured for a DynamoDB back-end and AWS ElasticSearch, cloud hosting through AWS CloudFront and AWS S3, and more. 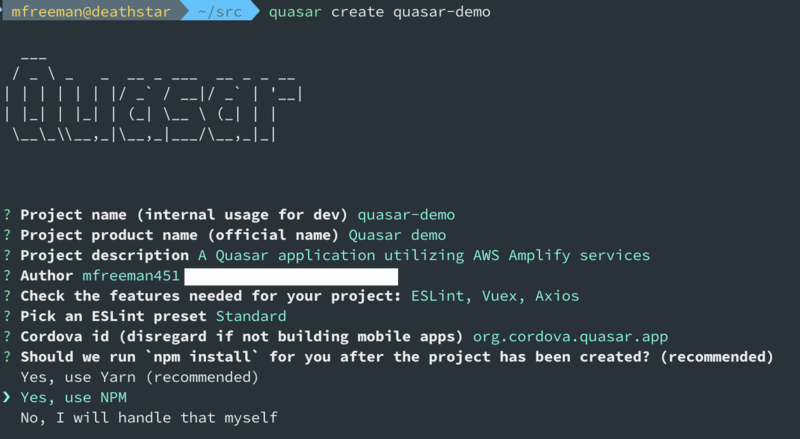 While you may have already seen many of the concepts and instructions in this tutorial, this document attempts to combine them all into one place and give the reader a clear and concise path forward to Quasar Framework with AWS Amplify and a reference implementation. There are more services advertised on the Amplify homepage but these are the ones we are going to be concerning ourselves with for now. Before we get started, please keep in mind that there are a lot of moving parts here, I will attempt to explain those that I think are important or will help you understand how things fit together, but for the sake of brevity, I will try to link to important resources that will probably offer better explanations than I can provide. The first step is to create the Quasar application. We will be using the Quasar V1-beta release and Quasar CLI to create our initial project. There are a few different ways of using Quasar, but I think this makes the most sense. If you are familiar with the legacy CLI, you will notice that we added ‘-b dev’ to tell the CLI that we want to build a V1 project. Follow the prompts, we will be assigning the project name, description, author, and the features needed for your project. We will include ESLint, Vuex, and Axios. That’s it! 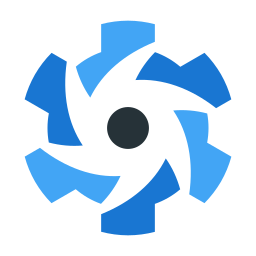 We now have a working Quasar application that by default produces a Single Page App (SPA), but can easily be configured for SSR and/or Progressive Web Applications (PWA). If you’re confused about SPA/PWA, check out this link for a gentle introduction. SSR-based mobile applications offer speed advantages by rendering content server-side and then delivering pre-rendered and pre-hydrated html, css and js to the client, also helping to improve your SEO by making the content searchable or discoverable by search engine crawlers. Another often overlooked benefit of SSR is that protected routes can be enforced on the server, so the interface (and obviously content) isn’t even available to the browser. This comes at a price, however, because SSR requires more infrastructure, scaleable architecture, and caching systems to support all that server-side rendering. We will be developing our Quasar application in “SPA” mode but will ultimately configure it to be a PWA when deployed. You will find that out of the box, when built and deployed, Quasar gives you a great LightHouse score. You can easily develop your application as SPA and then switch to PWA when deploying to production environments. Testing PWAs becomes a nuisance as well since everything is cached by service-workers in the browser, so if you’re developing and testing a live PWA, you will need to do a lot of refreshing and cache clearing (or install a testing harness like Cypress via the quasar-testing extension, which takes care of that for you). Next we will add the AWS Amplify CLI and initialise our new Amplify project from the command-line. For a full walk-through on how to use ‘amplify configure’, see this link. Next, you will be prompted to choose your build commands. Since we are building a PWA, we will tell the Quasar CLI to build us one. After this, the AWS amplify CLI will start deploying the AWS CloudFormation templates it has created (and stored somewhere in the amplify/ directory). This may take some time, be patient as interrupting this process comes with manual cleanup consequences. Select the default configuration, we will do more with Cognito later. We can tell by the ‘Operation’ column/row data that the Auth component has not been deployed yet. We will add more services and then push and publish our application when we’re finished. Provide the API name (quasarDemo) and select Amazon Cognito User Pool for the API authorization type. This configures a Cognito User Pool that we will later use to manage the users that will sign-up and login to our application and is used to authenticate our calls to the AppSync GraphQL layer. Next we will be asked to create a schema. You will be asked if you have an annotated Schema, select N for now. In the real-world, it is a good idea to do this once and then save that schema off into a file that you can refer to in case you need to build this project again. We will walk through the process of creating a very simple GraphQL schema to get us started. Next, select the default ‘Single object with fields’ and then select the option to edit the schema now. Modify the defaults — we will be adding the @searchable transformer to the type, and two new fields, owner and dateTime. The @model transformer tells Amplify/AppSync to create a table in DynamoDB modeled after our GraphQL schema, and @searchable does the same in AWS ElasticSearch. Finally, the @auth transformer says only the owner can query or mutate their own data and also eliminates the need for us to define our own custom resolver for the queries and mutations. You may have noticed how we are using a scalar type specific to AppSync. You can read about additional scalar types for the AppSync schema here. In part 2 of Creating a Quasar Framework application with AWS Amplify services, we will finish our AWS amplify deployment. My name is Michael Freeman, I am a member of the Quasar Framework staff and a full-stack developer working with VueJS, GraphQL, Kafka, and Apache Spark. I also specialize in Network Management Systems.